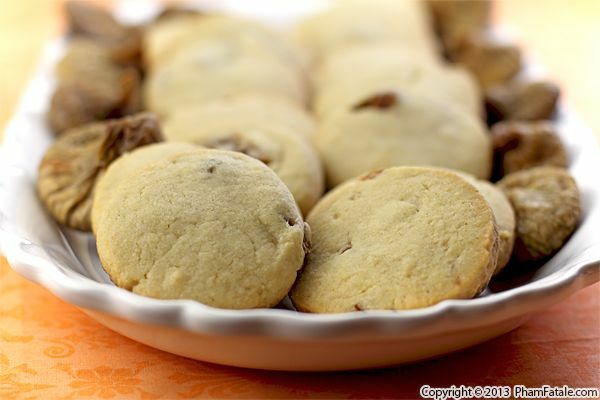 Sablé cookies are French-style shortbread sweet treats that are very popular in Bretagne (Northwest part of France). Ideally, I make them with good quality yellow butter from Normandy and a hint of sea salt. This time, I had a large bag of dried Calimyrna figs and flavored the sandy cookie dough with them. You could use whatever dried fruit you prefer. The cookies are mildly sweet and go wonderful with tea.